Over 150 vendors! All under cover at the Travis County Expo Center, 7311 Decker Lane Austin, TX 78724. Just 15 minutes from downtown Austin. The pages of Country Living Magazine come to life! Rain or Shine!!! A Fun, Folksy & Fabulous Show & Sale of Folk Art, Antiques, “Made in America” Crafts, Art, Furniture, Home Decor & More. Meet the editors of Country Living Magazine. Plus Seminars & How-to’s, Artisan Demonstrations, & More. Hours: 10 a.m. to 5 p.m. each day. Rain or Shine! All exhibits are under cover. Children under 16 free if accompanied by an adult. Regular parking fees apply. ($5 per car per day) Advance purchase a three day parking pass online for just $8! Tickets are always available fair days at the box office. Since the Country Living Fairs are usually held in other states, this something I would definitely like to try. There are a lot of fairs, craft shows, bazaars and festivals in this part of the country. 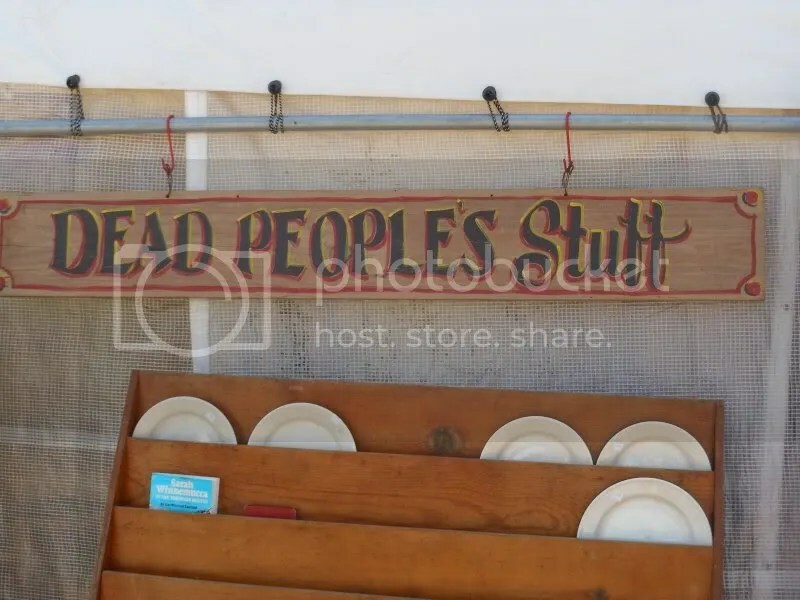 I just visited the big antiques show in Warrenton a few weekends ago and didn’t blog about it, but now I am, because all I saw was this sign (see below) and all I bought was a four dollar soap dish. It was probably because I went on Saturday and most vendors were packing up or gone home for Easter Sunday. Previous Post I Give Up Chocolate Chip Banana Bread! I can’t wait to go to the Country Living Fair, but I bet you knew that already : ) I hope all goes as planned, between horse shows, baseball, family, etc…. my favs are going to be there the Beekmans. Thanks for stopping by my blog, glad I could inspire you. Hope we can meet.